Diet is not the same as nutrition. Diet is what we eat, while nutrition refers to the nutrients we absorb from our food. The phrase You are what you eat is only partly true. We’re not what we eat, we are the nutrients that we absorb. When it comes to obtaining the healing potential from our food, we need to do more than select the right foods. We also need to properly prepare them, to both preserve and unlock maximum nutrients. Some foods, like fresh fruit and offer the most nutrition with zero preparation. 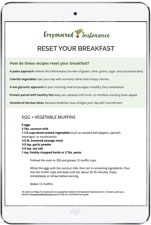 Cooking diminishes the healthful enzymes and synergy of the raw fruit. Other foods, however, are made more digestible and assimilable with specific preparation methods. Nuts and seeds fall into this latter category. Nourishing Traditions is a cookbook that changed thousands of lives by introducing the principles of traditional eating. The book is inspired by the work of Dr. Weston Price, a dentist who traveled the world in the 1930’s to discover the secrets of the healthiest people. 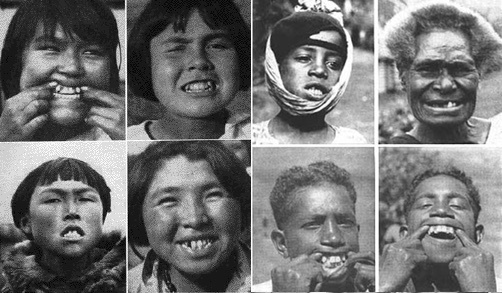 He discovered the secrets of the most beautiful people as well, since a nourishing diet ensures symmetrical bone structure, strength, and even perfect teeth without a cavity in sight. 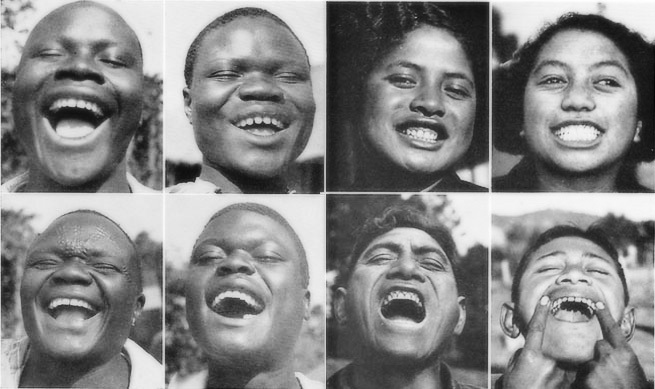 The black-and-white photos in Dr. Price’s book compare tribes who maintained their traditional eating habits, and cultures infiltrated by the refined food of the West. These photos provide convincing proof that an ancestral diet protects against the diseases and dysfunction of industrialized life. Nourishing Traditions first introduced me to the practice of soaking and dehydrating nuts and seeds to unlock their nutritional potential. Traditional cultures used to soak nuts and seeds before eating them. Intuitively, they knew this process increased nutrition and digestibility. For example, Native Americans ground nuts and soaked them in water, making a creamy drink. The Aztecs would soak pumpkin or squash seeds in salt water, and then sun-dry them. How does soaking and dehydrating improve nutrition and digestibility? Two forms of anti-nutrients are present in nuts and seeds. Anti-nutrients reduce the available nutrition present in food. Enzyme inhibitors are compounds present in nuts and seeds. Nature put these in place to prevent the seed from prematurely sprouting. But these enzyme inhibitors can inhibit our digestion. When we digest our food, enzymes from the pancreas and stomach are released to break down protein, fats and carbohydrates. The enzyme inhibitors can reduce the efficacy of our digestive enzymes, and slow down digestion. We can often easily tolerate a small handful of nut/seeds, but it’s easy to reach back into the bag for another handful. If you feel heavy or bloated after eating nuts/seeds, it’s likely the enzyme inhibitors impairing digestion. Phytic acid is another anti-nutrient. It binds on to minerals in the small intestine, which prevents us from absorbing all of these essential minerals. In the paleo world, we condemn grains and legumes for containing high levels of phytic acid, but many nuts and seeds contain more phytic acid than grains. Again, volume is key. We get more phytic acid from grains, because it’s easy to consume high quantity of bread. Mark Sisson doesn’t consider the phytic acid content of nuts and seeds to be problematic if we eat in nuts/seeds in moderation. Is soaking and dehydrating nuts and seeds worth it? You consume nuts and seeds on a regular basis, i.e. you eat spoonfuls of nut butter or incorporate them into your meals. You find nuts and seeds difficult to digest, but you want to enjoy them occasionally. You want crispier, more delicious nuts and seeds. Soaking makes raw nuts crunchier and adds the perfect amount of salt. 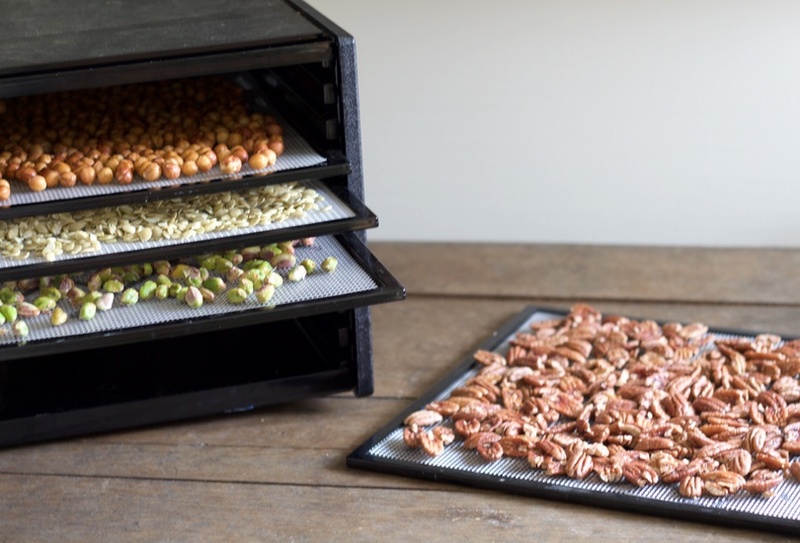 Once you soak the nuts and seeds, you can either dry them in your oven or the dehydrator. Drying in the oven. This option works if your oven has a setting of 170 degrees or lower. Any hotter, and you risk scorching the nuts/seeds before the inside is fully dry. Drying in a dehydrator. The benefit of using a dehydrator is it will preserve the healthful enzymes present in the nuts/seeds. Not only are you destroying the enzyme inhibitors, you’re introducing additional enzymes into your digestive process. Because you’re drying at a lower temperature, this option takes longer but requires no babysitting. I use and recommend the Excalibur dehydrator. Organic means that the nuts/seeds cannot be treated with pesticides or irradiated. Irradiation prolongs the shelf-life of food with a radiation treatment. Irradiation destroys the integrity (call it “life force” or “energetic quality”) of raw foods. Raw means that heat is not used in the processing. High heat damages the delicate oils in nuts and seeds. The Empowered Sustenance “regulars,” can already guess my recommendation for sourcing high-quality nuts and seeds: Thrive Market. The Thrive brand, Woodstock brand, and Now Foods brand are all excellent options there. Prices for ingredients also beat Amazon. If you’re ready to try Thrive, you can get a free jar of my favorite organic olive oil through this link, with your first order. 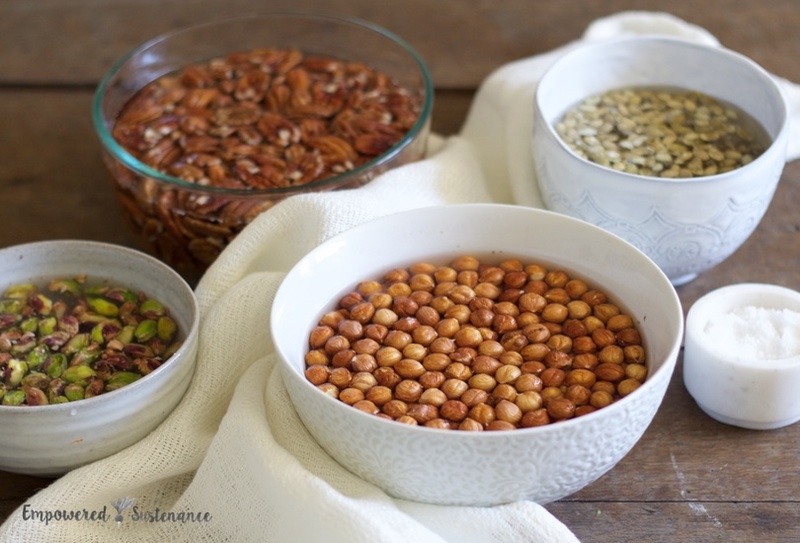 Soaking and dehydrating nuts and seeds unlocks the full nutritional potential. It improves flavor, texture, and digestibility. Place the nuts or seeds in a bowl, and add the salt. Cover with filtered water by at least 1½ inches. Soak at least 7 hours or overnight. If you are using cashews, soak them for 6 hours and no longer. They will become too slimy after a prolonged soaking time. DRYING IN THE OVEN. Make sure your oven has a setting of 170 degrees or lower. Use the lowest setting possible. Rinse the nuts or seeds thoroughly, and drain in a sieve. Place them in a single layer on baking sheets. Dry for at least 12 hours in the warm oven, until completely dry and crispy. Stir a few times during the drying process. DRYING IN A DEHYDRATOR. Rinse the nuts or seeds thoroughly, and drain in a sieve. Place them in a single layer on the dehydrator trays. I use and recommend an Excalibur Dehydrator. Dry at 100 degrees for 24 to 36 hours. 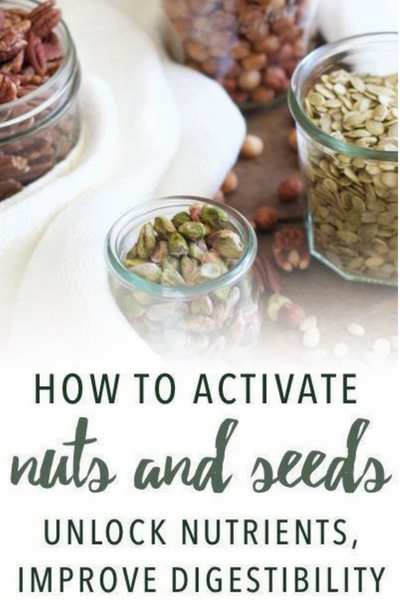 The timing varies depending on the nuts and seeds. Small seeds take 24 hours, but denser nuts like macadamias and hazelnuts take about 36 hours. Make sure the nut/seeds are completely dry and crunchy. You can’t over-dry, but you can under-dry. Make sure your nuts/seeds are completely dry. Moisture can cause them to mold during storage. 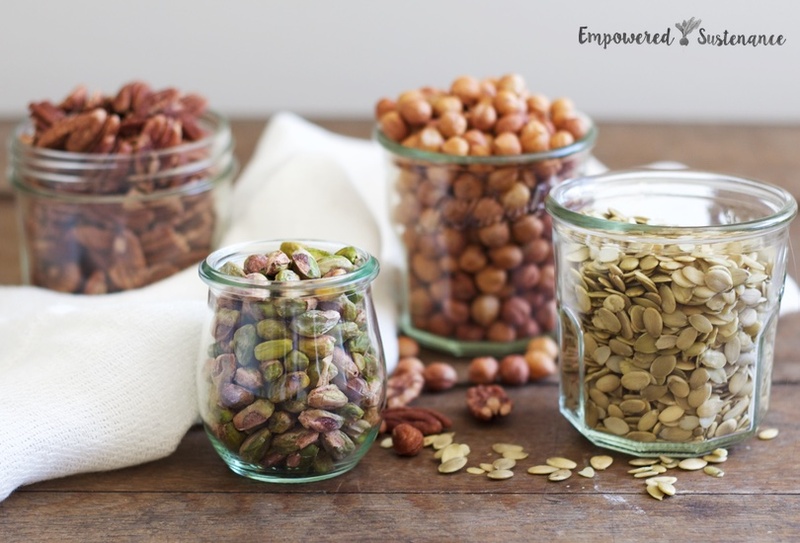 Keep nuts/seeds in jars in the fridge or freezer, to protect the delicate oils present in nuts and seeds. Chia and flax seeds will not dry, as they are too slimy after soaking. These seeds do contain enzyme inhibitors, but chia is consumed in soaked preparations anyways. Once the nuts/seeds are dry, make nut or seed butter with them by grinding in a high-powered blender with a spoonful of coconut oil. Peanuts aren’t listed because I don’t recommend them. They contain very high amounts of inflammatory omega-6s and are highly suspect for mold toxins. I have not seen any information on this subject. I just scooped out a pumpkin and wish to prepare the seeds for consumption. I would like to leave the shell on, but wonder about the length of time in the dehydrator. Shelling these things is labor intensive. Can you add salt? I soaked and dehydrated some almonds but they would be tastier in my opinion with some salt. Can’t figure out how to get it to stay on the almonds without getting too sticking using an oil. No dehydrator and my oven doesn’t go that low! What do you do?? Those are the only options here to keep the nuts raw (and preserve the healthy enzymes — not enzyme inhibitors– present in raw nuts). You can dry them in a warmer oven, but they won’t be technically raw. Thanks for this informative article! I was looking into buying the dehydrator you recommend above, but I was wondering is it made of plastic? Is this not such a concern since the heat is so low? Just curious what your opinion is on this and if you still use the model listed above. I’ve read that you should also roast walnuts to get all the phytic acid and oxalic acid out of them. I’ve soaked mine and dehydrated them but don’t know what temperature to roast them at. You’ll want to dry them, otherwise they will be mushy and chewy. When dried, they become crunchy and crispy. You can dry them in an oven at that temperature, but they will not be raw due to the higher heat. That means they lose some beneficial enzymes and can be slightly harder to digest, but it’s not a big deal for most folks.